Vegan Basil and Kale PestoI think pesto goes well with almost anything. This vegan basil and kale pesto is an interesting, quick and easy way to make your own vegan pesto.... Vegan Basil Pesto is simple to make. The key is to place all the ingredients into your food process EXCEPT the olive oil. This is one of the few times where I am convinced nutritional yeast really does make a cheesy difference, but certainly you can skip it. I�ve already mentioned my big love for lemon basil, but you can also make this with your regular, sweet basil if you add a bit of fresh lemon juice. How to Use Lemon Basil Pesto There are sooo many ways to use your fresh or frozen basil. Add basil, avocado, garlic, pine nuts and lemon juice to a food processor and pulse for 20 seconds or until pesto is chopped. Add in water and process again until completely smooth. 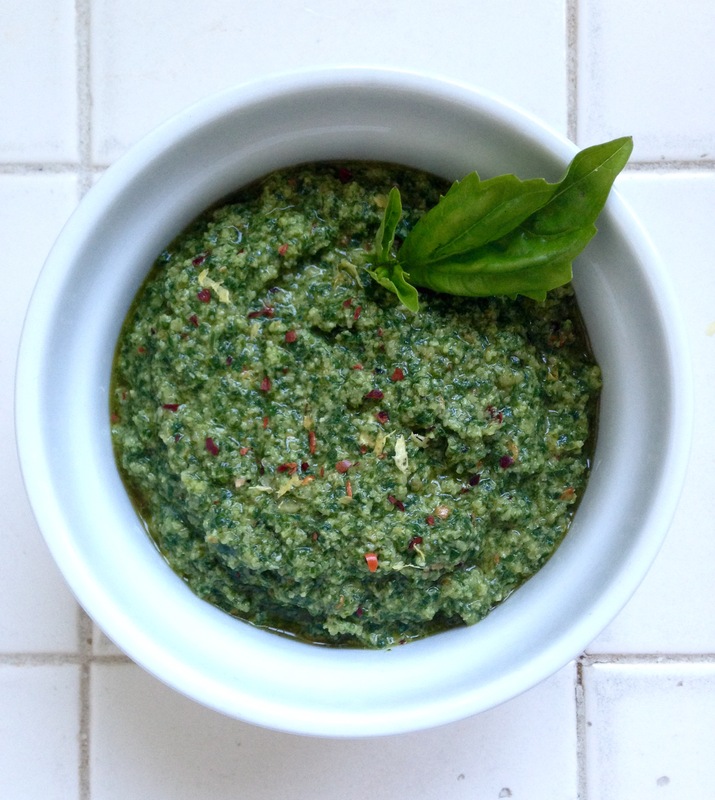 We�ve always made pesto using raw leafy greens, especially basil or spinach, but kale is in season, so we decided to give it a try and OMG, this vegan kale pesto is out of this world. Classic pesto is made with fresh basil and pine nuts, but cooked kale is easier to digest and softer. 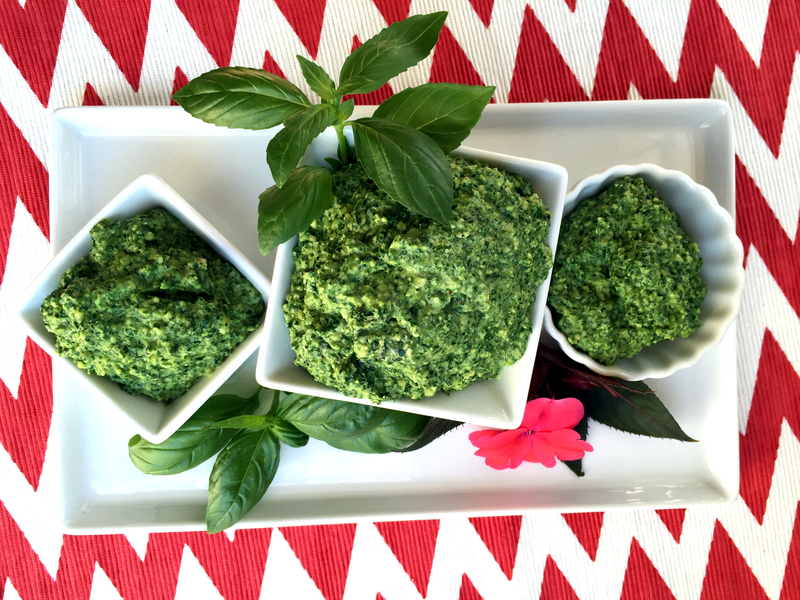 I love the smell of fresh basil, and the best thing to make when you have a lot of fresh basil is� fresh pesto! It�s great on pasta and flat bread pizza, as well as stirred into lightly stir-fried veggies. This Vegan Avocado Basil Pesto recipe only takes about 5 minutes to make and requires 8 simple ingredients: avocado, basil, avocado oil, parsley (optional), fresh lemon juice, sea salt, black pepper, and garlic. This vegan basil pesto is both oil-free and low fat. 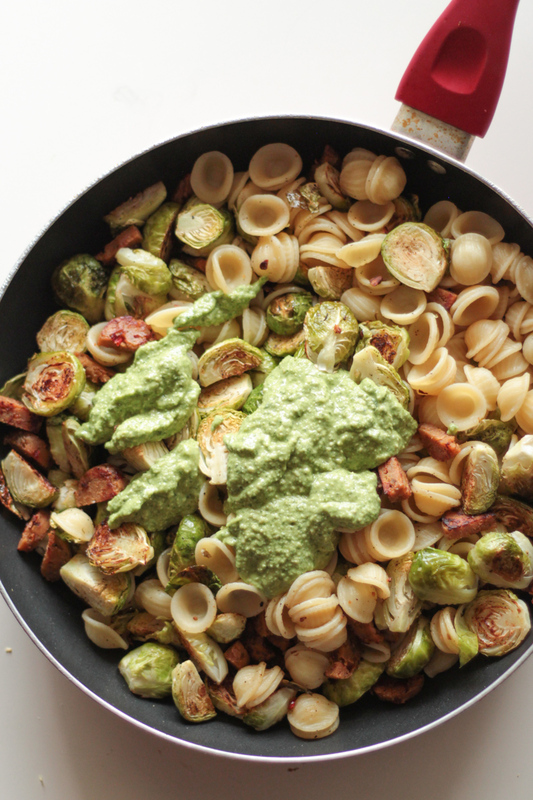 You don't need any oil or a ton of nuts or cheese to create a flavored, rich pesto.